The construction of Madison Lake is what structured the birth of Madison County Fish and Game. The story begins with the three men, Ned Speasmaker, Tom Wood and Urlick Bauerle who owned the land along the creek. They cooperated with the state and deeded enough land to let the state of Ohio build a dam across the creek in June, 1946. By 1947 the lake was full. 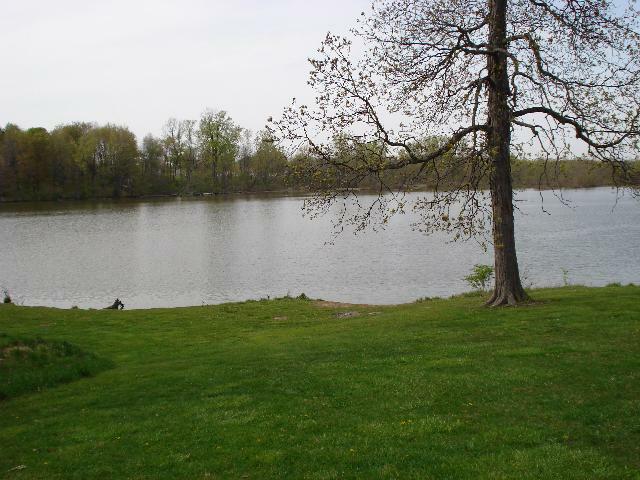 On June 15, 1947, there was a dedication of the lake with a stone erected by the boat house. The stone reads, “Madison Lake constructed by State of Ohio sponsored by Madison County Fish & Game Association, Dedicated June 15, 1947.” The boat house is no longer standing. Reviewing past meeting minutes reveals there were several times Madison County Fish and Game purchased fish for release into Madison Lake. In a Madison County Fish and Game meeting minutes dated May, 1972 the club spent $445.00 on 100 largemouth bass, 150 smallmouth bass, 120 catfish, 75 walleye. Later that year in July, 300 catfish and 400 largemouth bass were released in the lake. 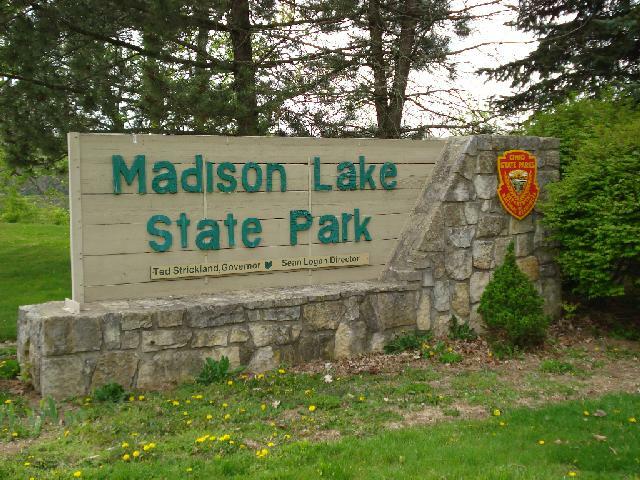 Madison Lake covers 106 acres and is open to boating, fishing, picnicking, trails, hunting and swimming. One boat ramp is available with restrictions to only electric motors.